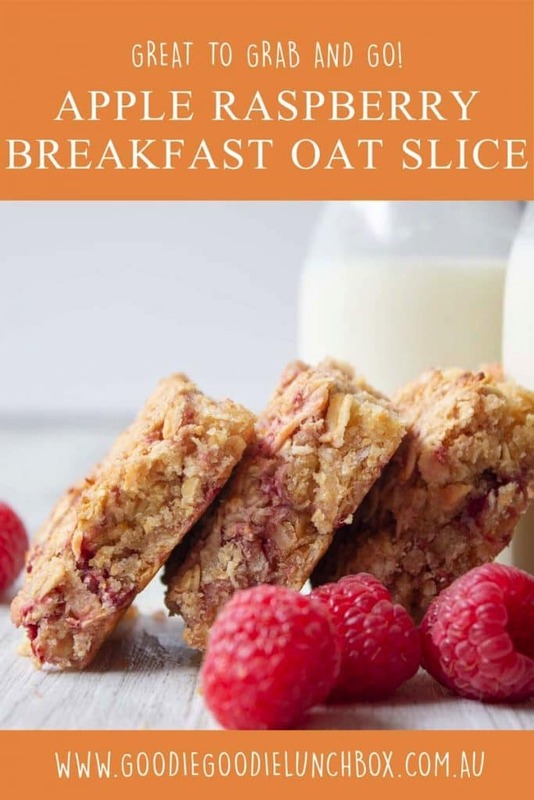 This Apple & Raspberry Breakfast Oat Slice is a game changer for me. Are you like me? A part time working Mum who needs military precision, a Mum voice that scares the neighbours into putting on their shoes and brushing their teeth and the organisational skills of Martha Stewart to get your family out of the house so you can get to work on time? Actually, even on the days where I do not have to go to work I still have to do the above to get Mr 6 to school on time. But I digress. I find from the moment I wake up to the moment I lock the door behind us it is action stations. Kid’s tantrums, lost shoes, breakfasts being eaten. That is, breakfast for everyone but me. Try as I might on days where I have to work I just cannot find the time to eat my breakfast. More often than not I am chowing down on a piece of peanut butter toast on the train. But I feel like I really could be doing better in the breakfast stakes. So I decided to make what is effectively portable porridge. And I am so glad I did. 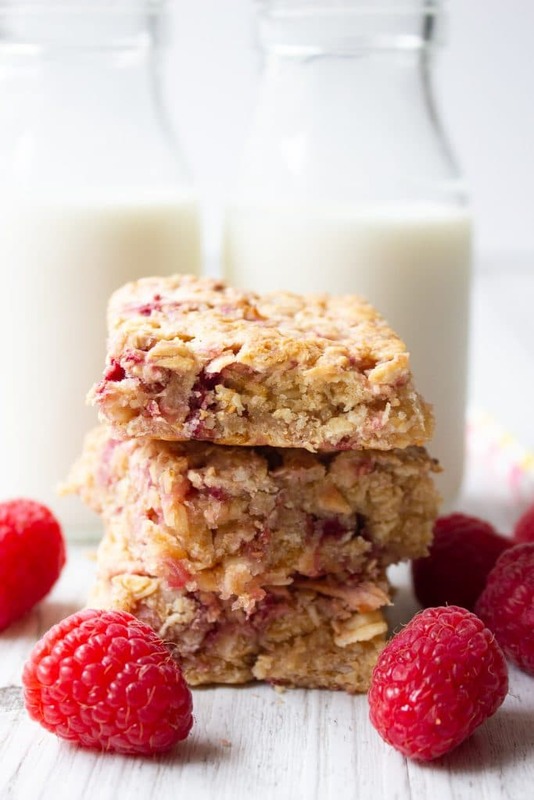 Enter the Apple & Raspberry Breakfast Oat Slice. The answer to my (stomach’s) prayers. So wholesome and delicious. Lightly fragranced with lemon, this mouthwatering breakfast oat slice is a great grab and go breakfast. Not only is it good for breaky, this Apple & Raspberry Breakfast Oat Slice is also great in the lunchboxes or for snacks. It is full of goodness from the oats, wholemeal flour and apple. It is also relatively low in added sugar with only 1/3 cup of honey. If you wanted to make this baby led weaning friendly you could substitute the honey for a mashed banana. 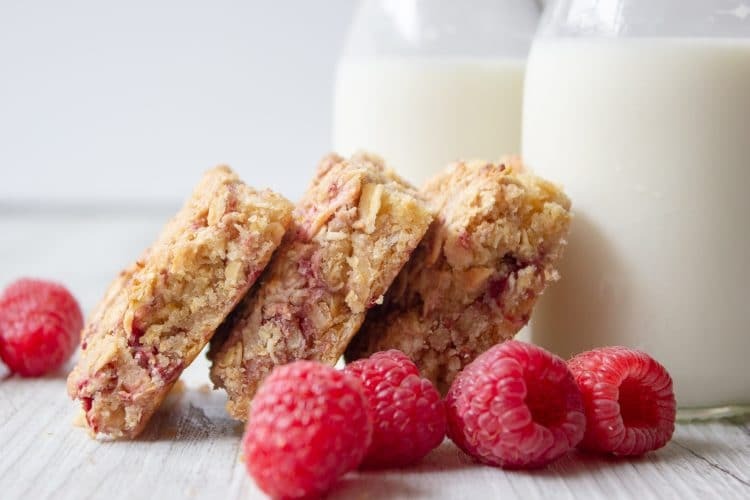 This nut and egg free Apple & Raspberry Breakfast Oat Slice is a delicious, wholesome way to start the day. It is also perfect for lunchboxes or snacks. 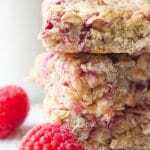 Delicately fragranced with lemon this Apple & Raspberry Breakfast Oat Slice is just so easy to make. When the slice is cool, cut into 15 pieces. 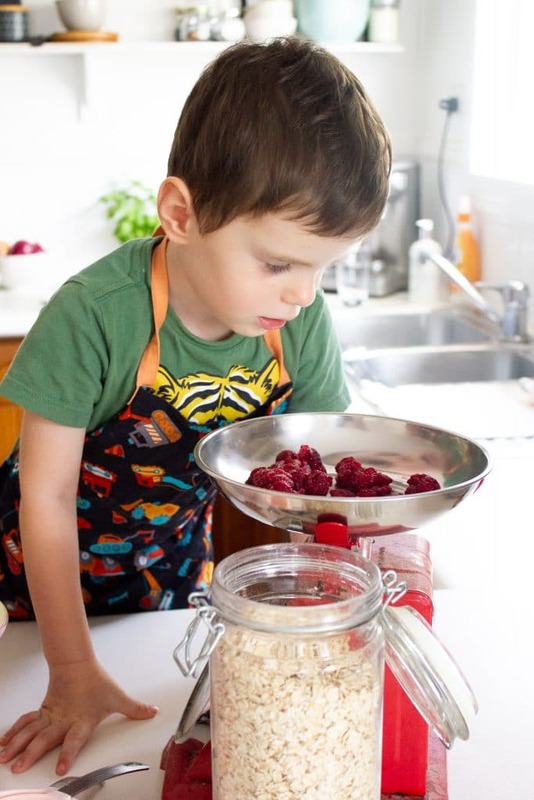 So while this Apple & Raspberry Breakfast Oat Slice won’t help get your kids shoes on, it will make for easy breakfasts. And we all could do with those. 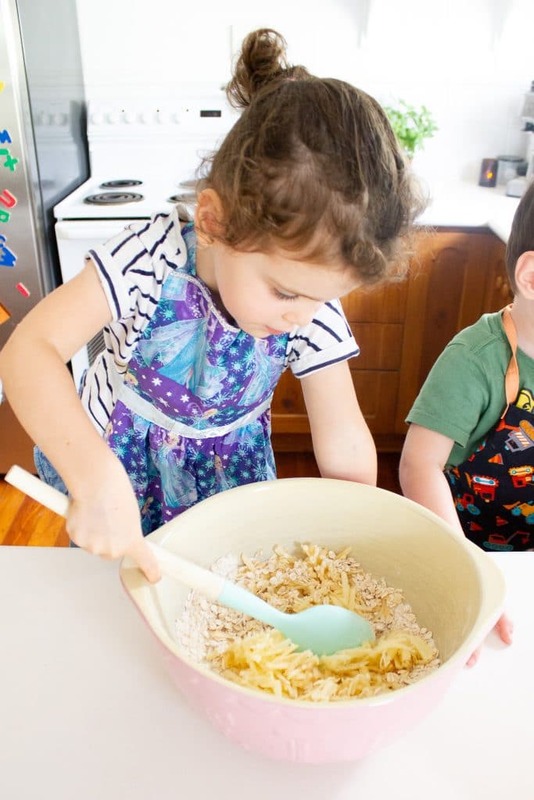 As always, if you bake this Breakfast Oat Slice I would love you to get social with me. Post your pic to Instagram tagging me @goodiegoodielunchbox or come hang with my in my closed Facebook group and share your pic with us! I just had to say how much I laughed at the mum voice scaring the neighbours comment. Very much me my husband says. Thanks for the chuckle after a loooong day. Looking forward to making this tomorrow. 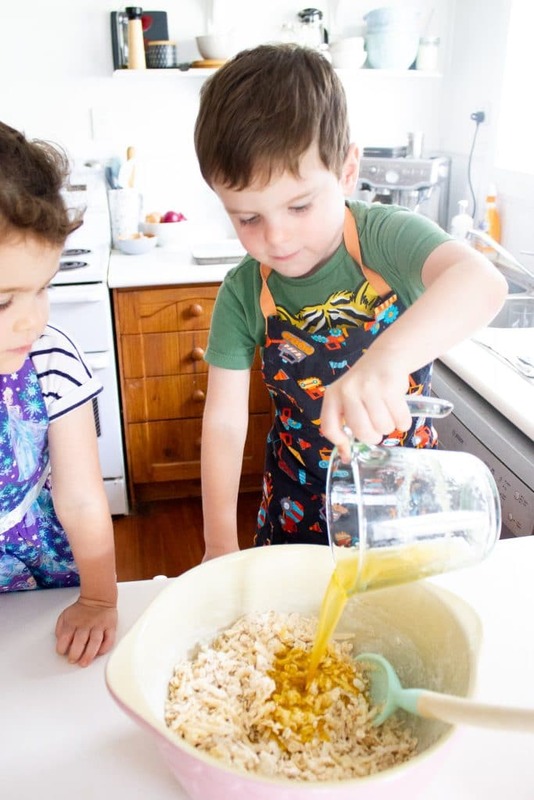 Omg – the smell of this cooking is amazing!! Can’t wait to try it. I could have eaten it raw out of the bowl. Do you use fresh raspberries or frozen? What a wonderfully versatile, delicious recipe. Thank you! I’ve just made it up for afternoon tea/ lunchbox (adding in chia seeds, some blueberries and 2 mashed bananas) and the kids have attacked it proclaiming it to be “the best”. Sounds amazing, need to try this one. What would happen if I left out the honey? Would it still work? Approx how many days would this keep?